A podcast on optimizing social media with GaggleAMP's Glenn Gaudet. For the past 10 years, Tony Zayas has been passionately engaged in the world of social media. He works for printing and promotional products in the franchise organization called Proforma. This is his second time on GaggleAMP’s podcast, and we welcome his expertise once again! 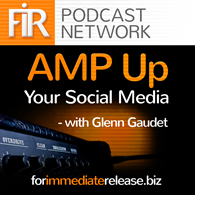 Tony recently joined AMP UP Your Social Media’s host Glenn Gaudet to discuss power prospecting using social media. You have to grab customers’ attention in a number of different ways. Your customers aren’t sitting right in front of you, so you have to open a box of brainstorming tools in order to reach these customers and really grab their attention without the benefit of a face-to-face interaction. Continually promote your program. Because you aren’t always face-to-face with potential prospects, you’ll want to continually promote your program in order to ensure that you’re given the most opportunity to touch your prospective client base. Get folks to participate. Participating leads to action, and those customers will help to gain more momentum in traction with getting others’ attention as well. I requested video testimonials from those who took my training courses, and this was then utilized to get more customers! There are three major challenges to overcome on social media. Time, content, and strategy can all block your success on social media. Carve out time, create engaging content, and design an effective strategy for your online efforts. GaggleAMP thankfully can knock out the first two issues fairly easily! Tony is a proud father and husband hailing from Aurora, Ohio. He’s a Chicago sports, UFC, and Iowa Hawkeye football enthusiast and has a Bachelor of Arts from the University of Iowa in Philosophy and English. While he also dabbles in mixed martial arts, he’ll always retain that his greatest passion lies in his family. Tony would love to hear from you! Connect with him on LinkedIn or Twitter. Lew Sabbag has 25 years of marketing experience and now works with businesses to improve their content marketing strategies. Currently, he is the VP of Social Media and Community for the American Marketing Association in Boston. Lew recently joined AMP UP Your Social Media’s host Glenn Gaudet to discuss content marketing on social media. Have a presence that allows your company to be seen as ‘people.’ Show folks that there’s a friends and family side that is behind your company. 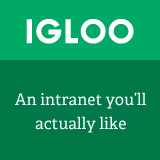 Show when you work with the community to connect with other users on a more intimate level. This gives your client base a more comfortable way to communicate and engage with your company. Create local pages for large companies. When your brand involves many businesses under one name, it’s best to have local brick-and-mortar offshoots to have their own social media pages in addition to the brand page. You can answer local-specific questions, tame the ‘trolls’, and give local-specific information. Give quick responses. Customers get frustrated quickly when businesses don’t give a quick response. You’ll likely see ranking improvements as customers find themselves interacting more reliably with your company on social media. Change your message across platforms. As you localize the content better, you’ll find that you can customize your content better as well. Humanize your efforts and keep variety across your social media platforms, as they’re likely addressing different crowds. Find the right person for the right answer. Have a list of approved answers for questions. When you find that your locality can’t confidently answer standard FAQs, then it might be time to thank them for their question and funnel that question to someone higher-up. Lew would love to hear from you! Connect with him on LinkedIn. Douglas Spencer is a marketing and branding expert and is president at Spencer Brenneman, LLC. As a brand strategy consultant, he has 25 years of experience in branding and marketing. He ensures that brand strategies build businesses by connecting with customers and employees. Douglas recently joined AMP UP Your Social Media’s host Glenn Gaudet to discuss brand marketing on social media. Strong brands are built on consistency. Tone of voice and messages in general demand consistency if they are to represent a strong brand. This includes employees out on their own time communicating with potential customers. Governance is important with social media. Everyone needs to not only be held accountable but also get pointed in the right direction - and this is up to the company to get their employees on the right track! Strong governance programs take into account the needs of the business as well as the needs of each individual function (sales, customer service, marketing, etc). Create employee advocacy programs. To be effective, blend these programs with other trainings. Employee advocacy comes naturally for many, so training on tone of voice, translations on social media, and other aspects are left to the brand policies to harness these intricacies. Tone of voice is important. With subtleties and intricacies, tone of voice can be a tricky part of training! Getting employees focused without feeling restricted can truly boost your social media brand efforts. Everything starts with a brand strategy. Understand not only what your brand IS but also what your brand WANTS to be! This will help you focus on a projection of yourself that you want to develop to connect with your ideal customer. Having everyone coming from the same place and going towards a common goal is essential. Douglas is a graduate of Marietta College, specializing in journalism. He’s a board member to Fenway Health, AIDS Action Committee of Massachusetts, and Agency Spotter. You can find his dog popping up at his headquarters often on social media sites as well! Simone Douglas is a Social Media Specialist trainer, presenter, and coach as well as founding partner of Social Media AOK, a social media agency in Australia. With 17 years of specialty experience in corporate management roles, she is considered an expert in her field of social media, risk management, and marketing strategy. Simone recently joined AMP UP Your Social Media’s host Glenn Gaudet to discuss practical training techniques on how to get the most out of your social media strategies. Don’t forget the basics of business. Have a social networking marketing plan that keeps the human connection at the forefront. The way we do business hasn’t changed in terms of human context, and many overlook this when attempting to connect with clients on social media - and that oversight could be costly. Find your contact strategy. There’s no right or wrong way to do this, but here’s what I do: If someone sends you a connection request, you could potentially do business with them or ignore it - open yourself to connecting with them without a sale in mind. Grow your network with the idea that you’re establishing peer connections. Twitter is great for small talk. Use Twitter to reconnect and reunite with users! It’s quicker than email, and you can tag those users to grow your relationships. Remember the purpose. Investing the time, effort, and energy really boils down to more than simply connecting with a community. You’re looking for sales, at the end of the day! Build relationships that can gain you customers and that are congruent with clients you’re interested in, and foster their growth. Face-to-Face scenarios are beneficial. Connecting via social media is a great way for extending your reach and growing your network, but fostering relationships by setting up face-to-face contact where possible can help to strengthen those ties. Simone would love to hear from you! Chat with her on Twitter or connect with her on LinkedIn. Simone is a Telstra Business Awards 2014 Finalist and prides herself on being creative and forward-thinking in life. She’s also a member of Family Business Australia, a peak body committed to contributing to Australia’s future through a dynamic and sustainable family business community. She values animal welfare as well as civil rights and human rights!